I really feel the need to point out that I know, I know there is a difference between Miguel Batista the pitcher and Miguel Batista the person. The man writes poetry, for Pete’s sake! He makes great efforts for his country and the people in it, and he’s probably a really nice guy. He was nominated for the Roberto Clemente award in 2009 because of this charity work, and for all I know, he rescues kittens and puppies on the weekends. 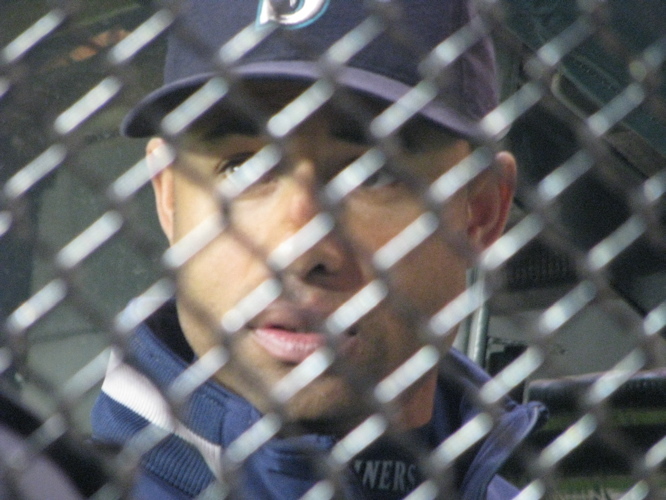 But unfortunately, as a fan, he was not my favorite Mariner. I am totally willing to admit that he did far better for us in 2009 than in 2008 (and again, I’m trying to err on the side of not holding 2008 against anyone here), but he was a frightening mound presence, because you never knew who you were going to get – good strike-out Batista or really bad Batista. It was obviously frustrating for him – his body language was very readable – and I get that; but as a fan of a team I love, it is hard to watch hit after hit being given up, especially in situations where to have had another pitcher in there for relief might have meant the exact opposite of giving up hits. A lot of us having been waiting for this to happen. We new he was a free agent, but I personally needed some absolute closure on this issue, and that meant either the start of the season without him on the roster, or another team picking him up, which was what I actually did want to happen. Now that it has, I feel a sense of relief that I also feel just a little guilty for – these guys are still people, after all – but his time there was over, and there isn’t much else to say about it. I could crack wise about how the Nats really must be trying to work their way to the World Series via first draft picks, but honestly, in my little tiny heart of hearts, I wish Miguel Batista well in the National League. I’m sure it’s not fun or pleasant, having people breathing down your neck every time you step on the hill, and it can’t be easy trying to extend your career once you’re past 35, let alone nearly kissing 40, so good for him. I was going to use this photo for something else, but it’s one of my favorite pictures (believe it or not!) so I’m using it here…goodbye, Miguel.